The myths and taboos surrounding menstruation are a universal phenomenon, especially so in a culture like ours. Grandmothers, mothers, sisters and daughters have successfully kept menstruation a secret from the male members of the family, not only in rural areas but in urban India too. Hailing from a middle-class family from a small town called Garhwa in Jharkhand, Aditi Gupta was familiar with the taboos surrounding menstruation from an early age. Today, Gupta is the founder of Menstrupedia, and has been working relentlessly to educate young girls and families about menstrual health and hygiene through her website, menstrupedia.com. The site has one lakh visitors every month, and the Menstrupedia comic book that released in September last year has been shipped to South America and the Philippines too. Such has been the response that they have volunteers lined up and ready to translate the book into eight different Indian languages and three different foreign languages. Next, an audio-visual app is also in the pipeline. When YourStory contacted her recently, she said, a�?I was 12 when I got my first period. I informed my mother about it, and she made me bathe with two-and-half mugs of water. By doing so, she believed that my flow would last only for two-and-half days. I was treated as impure and not allowed to enter the kitchen or sit on any other family membera��s bed.a�? Gupta met Tuhin Paul in college and they fell in love. The two got married and today he is helping her run Menstrupedia. 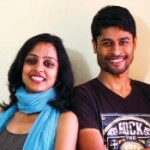 The couple quit their corporate jobs and raised money through a crowd funding campaign to print and distribute the Menstrupedia comic book on dispelling myths around menstruation. Through the comic book, they have educated more than 500 girls in northern India. So what change can this initiative bring? Parents now have educational material that they can use to educate their young girls on menstrual health in the comfort of their homes. This book is also a handy tool for teachers to conduct workshops on menstrual health. 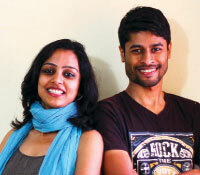 The couple wants to reach out to three million girls in three years through schools, NGOs and teachers. Says Paul, a�?It is a small step, but one that will lead to a big change,a�? and adds Gupta, a�?We want a future when menstruation is not a taboo but a welcome change.a�?